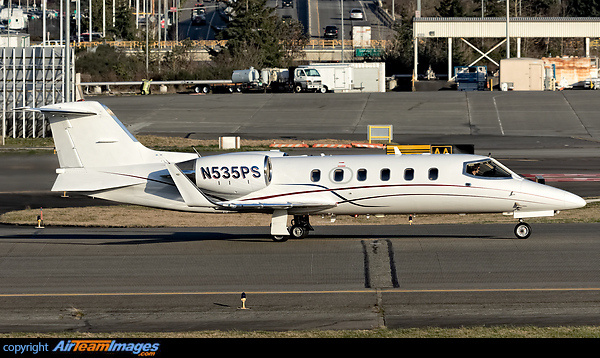 Learjet 31A C/N 31-087 N535PS departing Paine Field. The short to medium range Learjet 31 was the ultimate development of the early Learjet series. It combined new fan engines with the fuselage of the 36 and the improved wing (with winglets) of the 55. It has been developed into the heavier 31A. Typical engine is the TFE731-2, rated at 3500lb thrust.